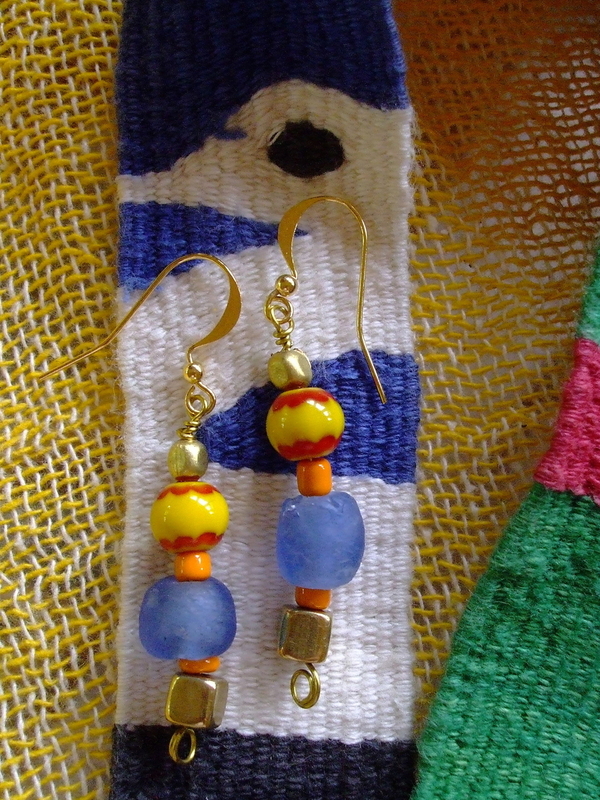 An exotic pair of earrings using recycled glass from Mali, brass cubes from Turkey, and African Chevron beads. Ear hooks are gold plated and the length is 2 in. from the top of the hook.